iLaserLevel allows you to find out inclination level without having to put target object and level together. There is no need of contact between object and iPhone. While there are many bubble level application out there, requiring to have contact between your phone and the measured object, iLaserLevel allows you to do the same measurement without taking your phone beside the target object. There are some situations where a bubble level doesn't help, like measuring far or hight objects. Objects that are not at the reach of your hand. In those situations, iLaserLevel will help you. 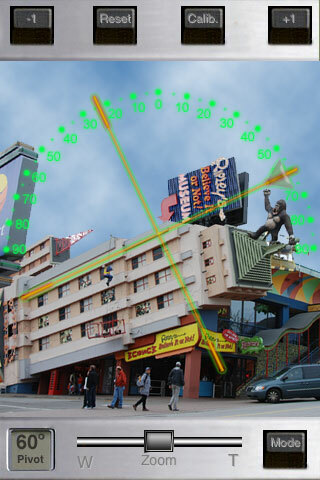 The application also provides a zoom slider, to make your measurement more precise based on a bigger target image. And last but not least, you will have fun showing to your friends how their stuff are not well levelled at their homes. -After applications launches, just point the camera to your target. -If they don't match, rotate the guide circle using your finger for big rotations or using the rotation buttons for 1 degree step rotation. When you finally get the target and guide lines matching, the measurement on the bottom left side will indicate your target inclination. 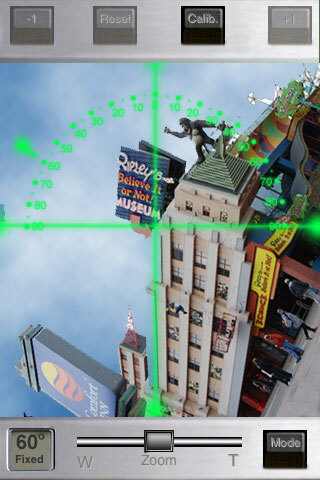 -If your target object is far, use the zoom slider to bring it closer on the screen.